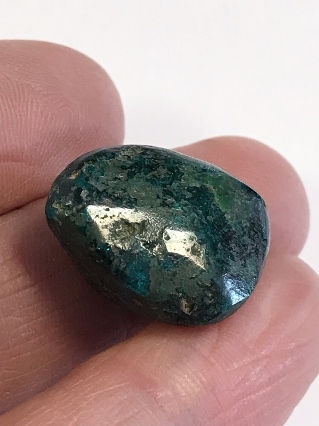 A tactile Dioptase tumbled stone. Dioptase is a green hexagonal crystal that occurs in copper rich areas. 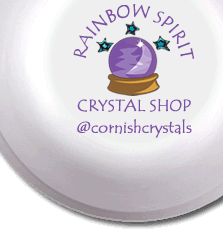 Its action is on the heart chakra, aiding compassion, forgiveness and the ability to let go, making it useful for abusive trauma or when one is stuck emotionally.